As we begin to hunker down for the impending cold weather, we are craving dishes that will warm us all the way down to our toes. Apparently, my family aren’t the only ones with cold extremities. In the past week alone, I have received four requests for crockpot recipes. Still flexing its muscles from its successful slow cooking of our Family Crockpot Applesauce, my crockpot was up for the challenge. The inspiration for this recipe came from Sunset Magazine’s Crockery Cookbook; however, I took several liberties with the recipe, adding tomatoes and black beans, and increasing the seasoning. The result was a flavorful, nourishing soup that took no more than time than chopping a few vegetables and browning some chicken. Mission accomplished. Do you have any favorite crockpot recipes to share? If so, please leave a link in the comments. 2 minced garlic cloves; and 1 (15 oz) can black beans, drained and rinsed. Heat 1 tablespoon olive oil in a large skillet set over medium-high heat. Season 4 skin-on, bone-in chicken thighs with salt and freshly ground black pepper. Place the chicken thighs in the skillet and brown on both sides, about 2 minutes per side. 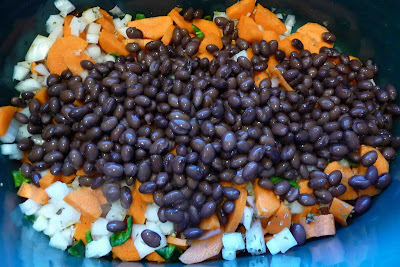 Place the seared chicken thighs in the crockpot, on top of the vegetables and black beans. Pour 4 cups chicken broth and 1 1/2 cups water over the chicken. Add 1 (28 oz) can whole tomatoes, chopped (juices included) to the crockpot. Cover the crockpot, turn the heat to Low, and cook for about 7 hours, or until the chicken is cooked through and the carrots are tender. Remove the chicken and let cool. 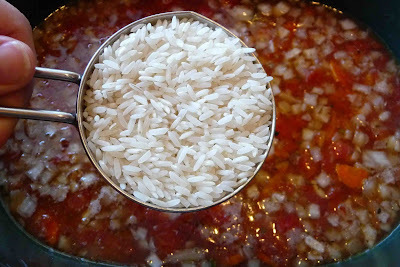 Add 1/2 cup long-grain white rice to the crockpot, turn the heat to High, and cook for an additional 25 to 30 minutes, or until the rice is tender. Remove and discard the skin and bones from the chicken. Shred the chicken with two forks or your hands, and return the meat to the crockpot. Allow the soup to heat for about 5 minutes. Stir in 1/4 cup chopped cilantro leaves. Season with salt and pepper to taste. Serve the soup with lime wedges. 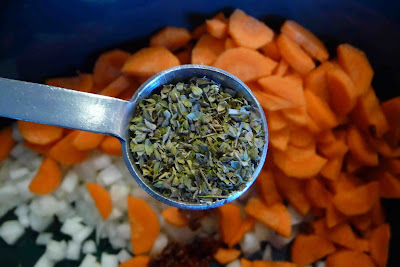 In a large crockpot, combine onion, carrots, chipotle pepper, oregano, garlic, and black beans. Heat 1 tablespoon olive oil in a large skillet set over medium-high heat. Season chicken thighs with salt and freshly ground black pepper. Place the chicken thighs in the skillet and brown on both sides, about 2 minutes per side. 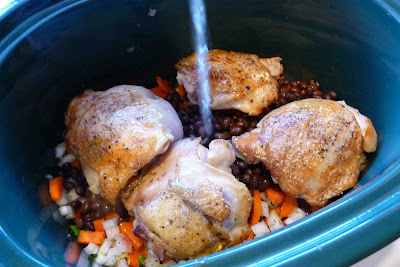 Place the seared chicken thighs in the crockpot, on top of the vegetables and black beans. Pour chicken broth and water over the chicken. Add canned tomatoes and their juices. Cover the crockpot, turn the heat to Low, and cook for about 7 hours, or until the chicken is cooked through and the carrots are tender. Remove the chicken and let cool. Remove and discard the skin and bones from the chicken. 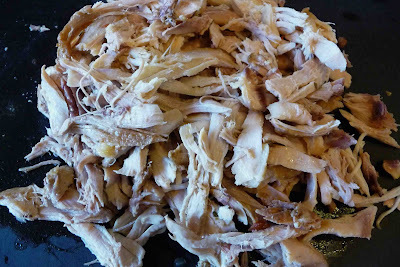 Shred the chicken with two forks or your hands, and return the meat to the crockpot. Allow the soup to heat for about 5 minutes. Stir in 1/4 cup chopped cilantro leaves. Season with salt and pepper to taste. Serve the soup with lime wedges. hi! I just discovered your blog. It is great! 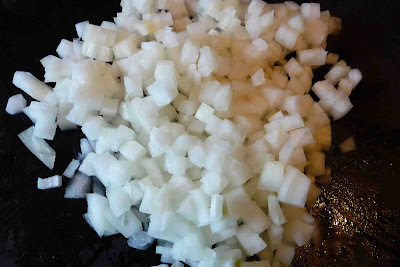 Loving this recipe for this healthy crock pot soup. I will need to make it! CP recipes have been the thing on everyone's minds these days! I am adding you to my blogroll page!! Loving the flavors going on here! Yum! 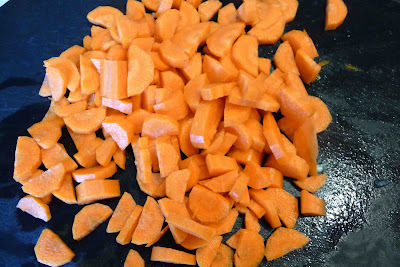 Here's my crockpot recipe – a vegetarian pumpkin chili! Sounds great! I love your idea of cooking the chicken in the crockpot, then taking it out and shredding the meat and adding it back in. Brilliant, and saves time in the morning when you're getting the food in the crockpot. Always looking for new soup ideas and this one sounds delicious! I really like the chicken tip, too– will definitely be trying this one. Chipotle is a favorite in my house. I'll have to give this a try! mmmmm….just what I would like to have now….not a small serving, but a BIG bowl…:)Looks very delicious. Yummy! I could use some soup right about now. Crockpot soups are awesome. Just for the fact that they're a hassle free to make. Gorgeous picture. Slow cooking is my favorite way to do chicken. Bet this tastes fantastic. The "you may also like" tool brought up your Cool Honeydew-Mint Soup. I was like, "Yes! Yes I would also like that!" CC, you simply amaze me! You are such an awesome cook! You consistently have so many recipes, lovin this! How did I miss this one in Sunset??? This looks amazing. I'm keeping the recipe and will give it a try this week. Thanks for the post. Thanks for all of your generous comments! There are a few crockpot recipes posted in the comments. Be sure to check them out. This soup is so hearty and comforting. So many great flavors going on in there. 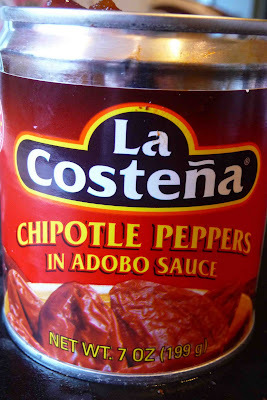 I have to find those chipotle peppers soon. Awesome recipe. Tis the season of yummy soups! by the way, awesome idea on my site. Goodluck. 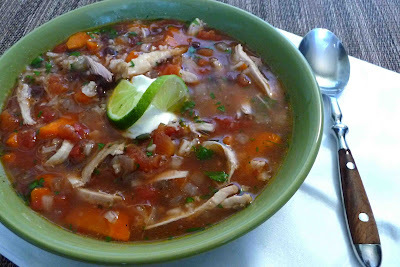 A great soup recipe to add to my collection…the hubby would LOVE this one. Perfect for autumn I'd say! oh gosh you're right about the cold weather! It just makes me want to snuggle up on the couch and have a nice bowl of warming soup. This soup is definitely warming and very hearty. I love that it has "sticks to your ribs" ingredients. Very delicious! I broke out my nearly antique crockpot (I think it is 18 years old!) to make your applesauce…looks like I better put it back in use for this soup! I love crock pot cooking! Your recipe looks great. I love making things like that and having it ready when you get home from work. My favorite crock pot recipe is for easy beef stew made with 3 cans of V-8 juice. Super easy and healthy! I love, love, love my crockpot. It's so nice to have a fully cooked meal ready to go (or close to it) when I get home from work. I'm always looking for new recipes and this one looks great! This looks fantastic. Warm and inviting on a cold day. I love black beans with chipotles as well, they play well. Amazing recipe. Everyone who tried it after I made it said it was one of the best soups they've ever had. And I agree!